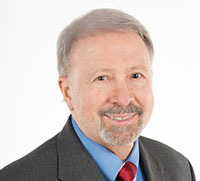 Richard M. Teichner CPA, ABV, CVA®, MAFF™, CFF, CRFAC™, DABFA®, FCPA™, CGMA®, CDFA®, specializes in litigation consulting services and expert witness testimony in the areas of business litigation and family law matters. Do I need a forensic accountant or valuations expert in my case? © 2013 - 2019 Teichner Accounting Forensics & Valuations, PLLC. All rights reserved.